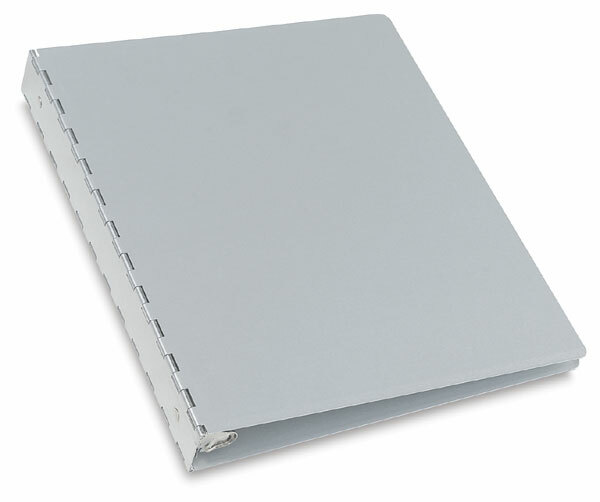 When the presentation of your work is just as important as the work itself, consider this sleek, brushed aluminum binder. The Machina features sleek piano hinges and a flat spine. It includes rugged and durable steel multi-ring hardware. Use Machina binders with standard 3-hole punched sheets, sheet protectors, or hinge strips. The ½" binders hold up to 90 sheets, and the 1" binders hold up to 175 sheets. Binders with a 2" ring size are designed to hold up to 350 sheets.